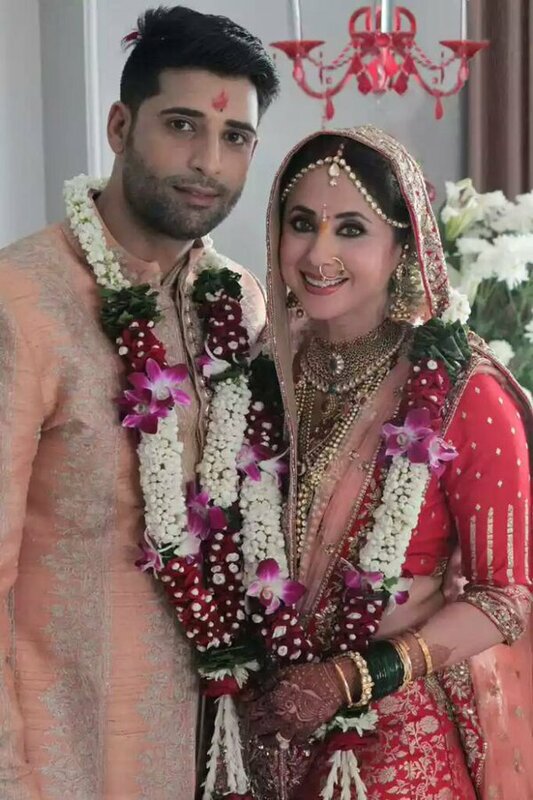 Diva from Rangeela, Urmila Matondkar tied knot to model and businessman Mohsin Akhtar Mir in mumbai yesterday. 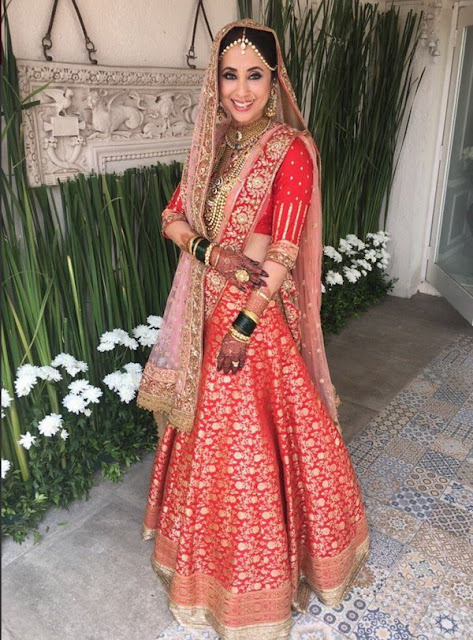 In an age where weddings are big, fat and grand affairs, Urmila matondkar's wedding was an intimate one with only designer Manish Malhotra being the bollywood celebrity guest invited. A close knit, low key wedding means not many photos will be available over the web but all thanks to social media we have a few photos and that is enough to figure out what urmila matondkar and the groom wore . The bride wore mint suit with gold work for the mehendi. Open hair, soft make up and neck jewellery finished out Urmilas glowing mehendi look. Urmila Matondkar wore a red lehenga designed by Manish malhotra . The lehenga which is from the latest regal threads collection had 3/4th sleeves . Urmila went with peach double dupattas , green glass bangles, matha patti and heavily layered necklaces. The groom wore a peach bandhgala to match with the bride. The Hindu wedding was followed by a Reception where Urmila wore white and Mohsin Akhtar changed into a black suit. Here's wishing all the best to the newly married couple.